Whether biking on paved shoulders, bike lanes, or the 1-mile entry-level mountain biking trail, there's plenty to choose from for bicycle enthused families. There are so many family riding options at Oak Mountain, it's very possible that you you may never get everyone back in the car at the end of the day. Anywhere from the 5-mile Red Trail to the 7 miles of beginner to intermediate trails, there is something for all ages and levels of expertise. Take the little kiddos along for a two-wheeled adventure in the woods, or make the trip solo for some much-needed peace and solitude. 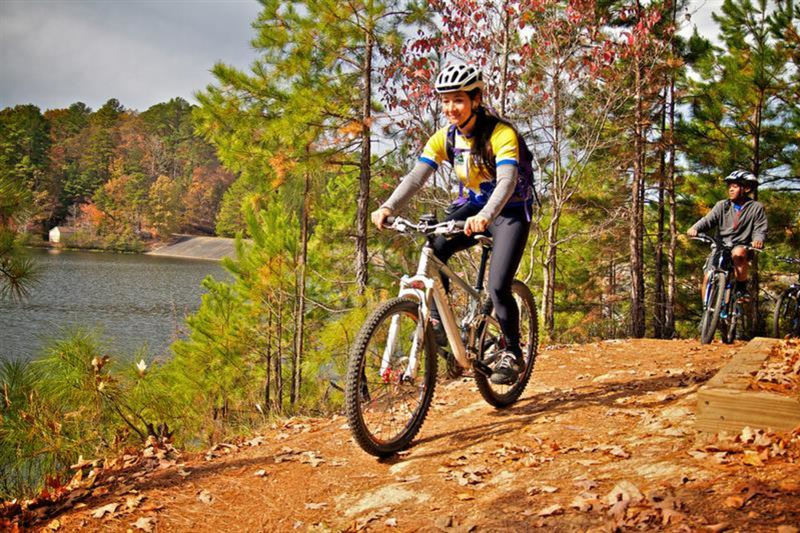 Either way, Oak Mountain riding trails are sure to exceed your expectations. The trails are clearly marked to advise of the difficulty level, so pick a marker color and follow the suggested route! If your two-wheeled adventurers are just starting to develop, use the paved shoulders and bike lanes to explore the picnic areas, beach, and marina along the shore of Double Oak Lake. 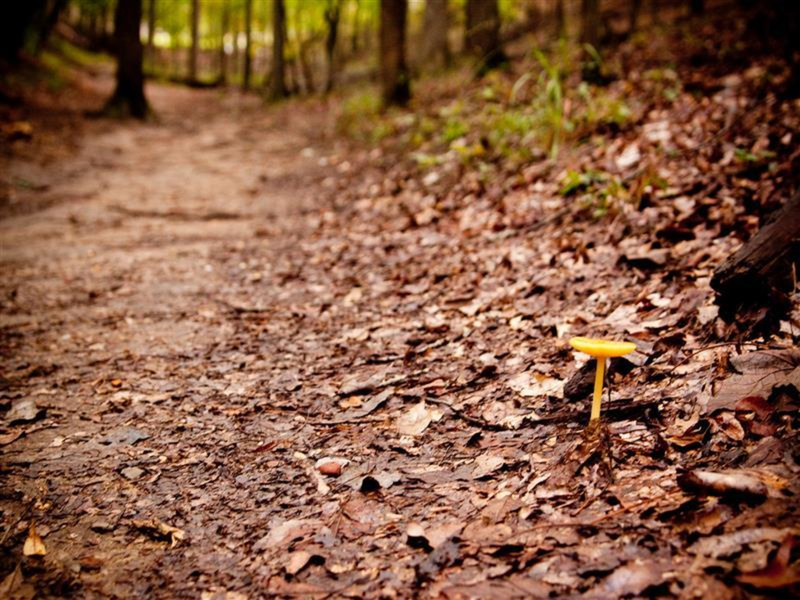 If you’re ready to take the next step and introduce the family to some of Oak Mountain’s epic single track, venture out onto the Family Trail for just over one mile of entry-level mountain biking. There are a few log hops (all with ride-arounds) and low wooden bridges, which lack railings but are covered with chicken wire for traction and fairly close to the dirt. Next, take the family on the Lake Trail, which begins behind the restrooms at the South Trailhead Parking Lot, meanders along the backside of the lake, crosses the dam, and finishes at the road just down from the marina. The trail itself is just over two miles and when you get to the end, poll the group to see who wants to backtrack on the trail, or take the easier one-mile ride up the road to the trailhead. Our guess: They’ll take the trail. Toward the other side of the park you’ll find the BMX track, where there’s almost always a crowd of friendly racers willing to offer up advice or just put on a show of aerial skills and speed. If the track is a little too intimidating, there are two pump tracks just up the hill. The tiny one is sized for tots on Strider bikes. The bigger one has infinite lines and is the perfect place to hone bike handling skills. 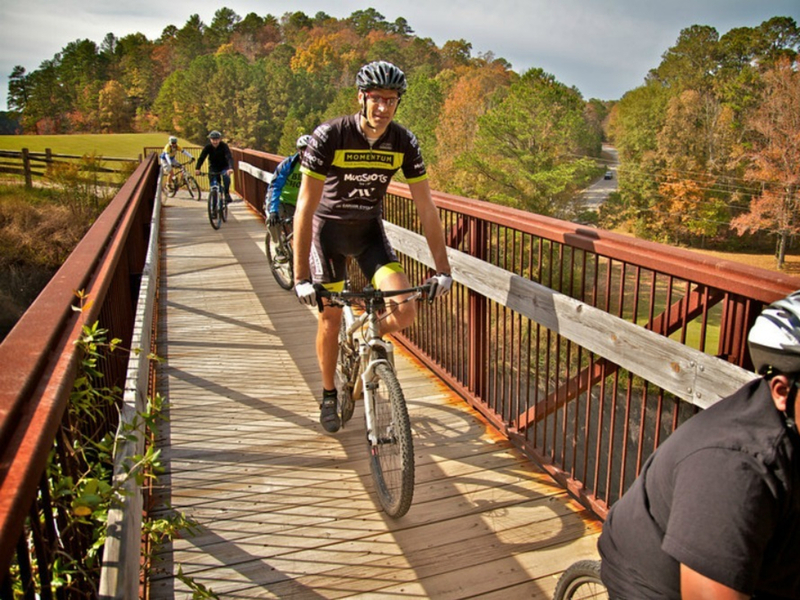 There’s a reason Oak Mountain is world-renowned for its mountain biking, and there’s plenty to offer for the entire family. Maps can be purchased at the park office, and signs throughout the park will keep you pointed you in the right direction. Racers, novice riders, three-year olds, seniors, and anyone in between will enjoy these well-maintained, well-marked trails. With routes so easily pre-planned, you can enjoy a safe ride without worrying about getting turned around or confused. Some trails are flat and smooth enough for a toddler to handle, and some are tough enough that you may have to dismount and push. 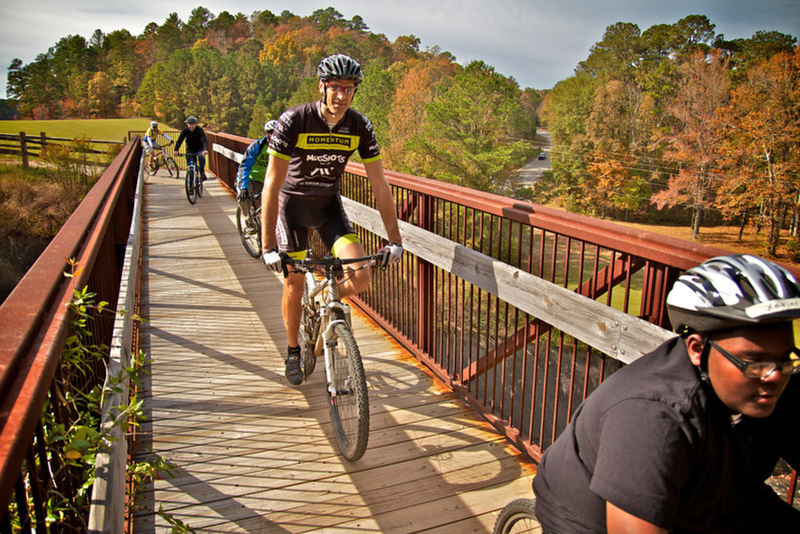 Experts will enjoy the tougher trails or the BMX track, unless they are looking for a leisurely ride. The park itself charges a $3 per vehicle fee and is good all day. From I-65 South, take exit 246 for AL119/Cahaba Valley Road, and turn right off the exit onto AL119 South/Cahaba Valley Road. Turn left onto Oak Mountain Road and continue for about 2 miles. Turn left onto John Findley Drive and right onto Terrace Drive. Oak Mountain State Park will be on the left.